We saw it coming from Ford, Hyundai and VW. But who knew that would be coming from Honda too and that too so fast. Honda has just now announced the launch of the unveiling of 3 new VTEC Turbo engines with power ranging from 1.0L, 1.5L and 2.0L gasoline. The engines would be suitable for small to medium sized vehicles. With the application of variable valve motion technology such as Honda’s unique VTEC along with direct injection turbocharging with highly-fluidized combustion and a thorough reduction in engine friction, this engine achieves class-leading output and environmental performance, while downsizing engine displacement. 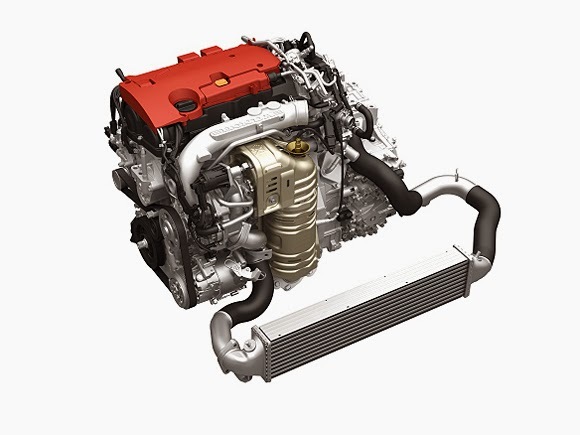 The 2.0-liter VTEC Turbo will output more than 280 hp and will comply with the EU6 emission norms. Honda doesn’t say much about the other two engines, only revealing that they will have reduced friction, a turbocharger with a low moment of inertia and high responsiveness, and direct injection technology along with excellent fuel economy. We will have to wait and watch as to if this engine can actually compete with Ford's award winning EcoBoost engine.